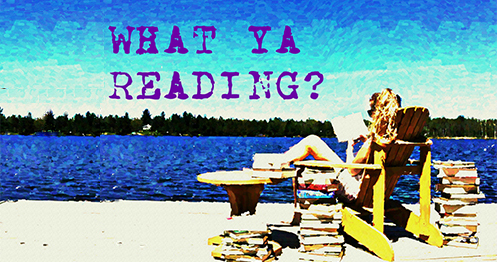 Shatter Me | What YA Reading? I have a curse. I have a gift. No one knows why Juliette’s touch is fatal, but The Reestablishment has plans for her. Plans to use her as a weapon. But Juliette has plans of her own. After a lifetime without freedom, she’s finally discovering a strength to fight back for the very first time– and to find a future with the one boy she thought she’d lost forever. The fault, dear Brutus, is not in our stars, but in ourselves. Or perhaps it’s in the stars in ourselves. As in the stars in Juliette’s eyes throughout Shatter Me. Because in cases like this, love isn’t all you need. Had Juliette been less consumed with her boy-ogling, boy-kissing, and other romantic activities, I believe that she would have been better received. Had she taken charge of her fate, had she taken charge of herself, she could have succeeded as a character. Unfortunately, her self acceptance and self esteem are directly based on others’ opinions of her. I’d like to see Juliette emerge as uber-confident if Shatter Me‘s male characters had rejected and dismissed her as insignificant, but I’m afraid that that would not be the case. I understand that she’s had a difficult life, but where is the self-possession? Where is the self-respect? Thinly-veiled attention seeking is so 2008’s Twilight, yes? This brings me to my next point. Shatter Me‘s men cannot reject Juliette. Why, you ask? It’s obvious: she’s simply too beautiful. Drop-dead gorgeous, really. Now, I don’t know very much about beauty, but if sitting in dank cell with but paltry hygiene practices for 264 days makes Juliette irresistible, then I’m willing to give it a go. Hey, I’ll follow her lead to the letter: never cut my hair, do minimal amounts of physical exercise, wear absolutely no makeup, and expect every male character under the age of thirty to hit on me. Why not? The majority of reviewers out there also claim to despise Shatter Me‘s somewhat purple prose. Alas, I have to disagree with them on this point. I’ve been incredibly hard on this novel as of yet, but now I’ll be terribly honest: I loved it. I loved its mildly uncomprehensible metaphors. I loved its eccentric choices of words. I loved its bizarre expressions, its poetic discourses, and its sporadic strike throughs. If you are not the type of person who enjoys flowery rhetoric, then I must forewarn: Shatter Me is not for you. However, if you’re like me in the way that you bask in words, savouring the taste of each of them as though they’re chocolates ripe for the eating (no, I wasn’t kidding when I said I liked figurative language), you have found your next good read. Shatter Me‘s plot is one hundred percent classic dystopian: you’ve got your initial exposure to society’s injustice, your exploration of all things wrong, followed by your inevitable rebellion. This plot scaffolding is certainly old, maybe overused, but definitely well done. The intrigue was played out and the action was packed. Where Mafi proves to be original is in her novel’s premise. Shatter Me has been compared to X-Men on a few occasions, and I can see why; the whole magical powers gist is more or less concurrent. However, unlike most of the paranormals you’ve read, Juliette does not consider her abilities to be a gift. And then we get down to the whole moral debate: is she a hero or a monster? Only time will tell. 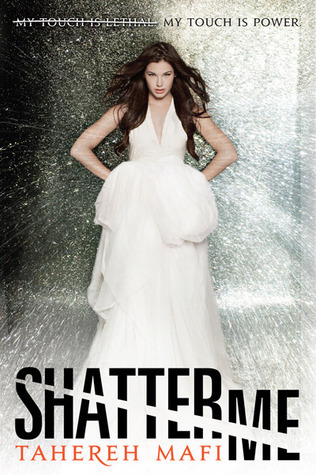 Shatter Me was a thrilling ride that I’m happy to say that I’ve read. For fans of purple prose, steamy romance, and hot heroines. I’ll doubtlessly read the sequel soon enough. 4/5 stars.